Oven-fried chicken is easy comfort food. I’ve been making this recipe for over 30 years. It’s based on a recipe I got from the 1971 edition of Betty Crocker’s Good and Easy Cookbook. I don’t know why I’ve kept the book because it’s not one that I use and it’s not one that I’d recommend. A lot of the recipes call for “convenience foods” and Betty Crocker mixes. It is kind of an interesting look at the way people (mostly women) cooked “back in the day” when the food industry was exploding with “new and improved” foods to make our lives easier. An optional first step is to soak the chicken in buttermilk for a few hours first. I chose to do that, but didn’t have buttermilk. I added 1 tablespoon of vinegar to 1 cup of milk and let it sit for a few minutes. I then used this buttermilk substitute to soak the chicken. You can also make the chicken without soaking it first. If you’d like baked potatoes with your chicken, just stick them in the oven when you put the chicken in. They’ll be perfect. 1. If using the buttermilk, put it and the chicken in a gallon Ziploc bag. Refrigerate for a few hours, turning the bag over once or twice. 2. Heat the oven to 425˚. Put the oil and butter in a pan and put it in the oven to melt the butter. 3. Put the flour, salt, paprika and cayenne pepper in a large Ziploc or paper bag. Shake well to mix. 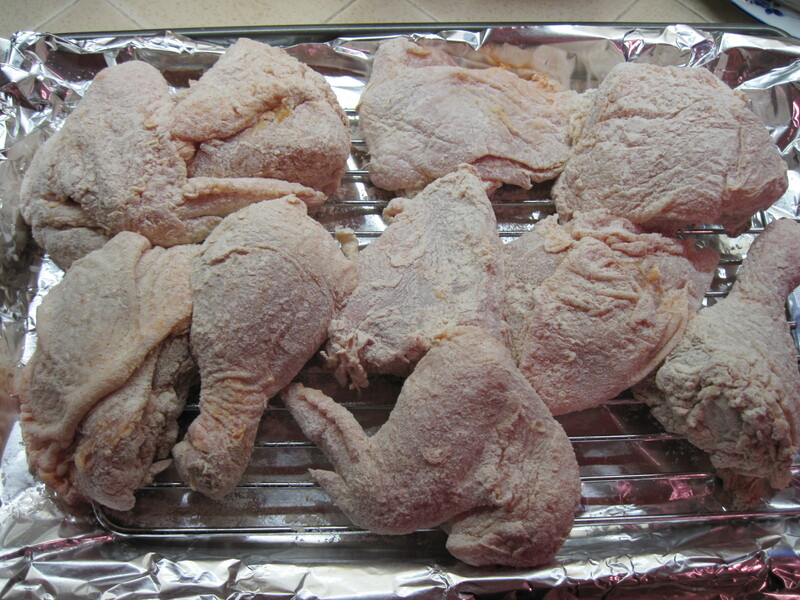 Put half of the chicken in the bag and shake vigorously to coat. Repeat with the rest of the chicken. 4. Put the chicken, skin side down, in the pan and bake for 30 minutes. 5. Turn the chicken pieces over and bake for another 30 minutes. ← Saturday breakfast – bacon and eggs! Wow! So easy! I always assumed fried chicken would be difficult. Health-wise, is this recipe better for you than your average fried chicken? Mmm….probably not. But it is easier. Properly done fried chicken will not be overly greasy. The key is using a thermometer to make sure the oil is the right temperature. 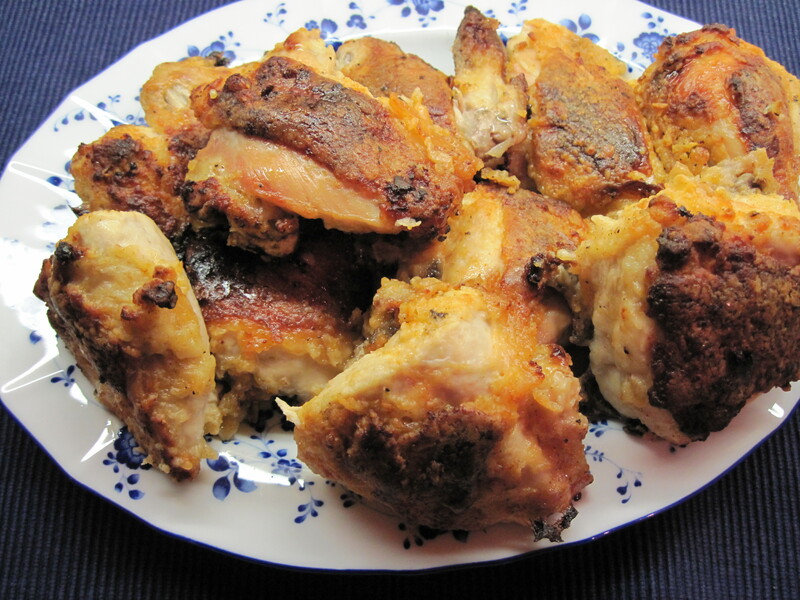 If the oil is not hot enough the chicken will absorb more fat. When I make fried chicken I like to use coconut oil which is actually a very healthy fat.